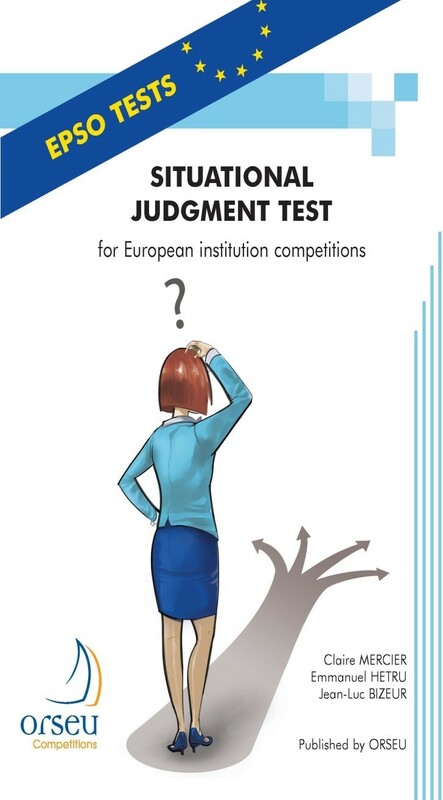 The situational judgment test assesses the behaviour and decision-making capability of candidates in a working environment. It consists of 20 multiple-choice questions (MCQs). Each question describes a scenario based on a work situation and gives a set of 4 possible actions the candidates might take in response. The candidates must choose the action that they believe is the most effective AND the one they believe is the least effective. - train themselves to take the test. This new book published by ORSEU will give the candidates every opportunity to be successful in the situational judgment test. The questions in this book are similar to those set in the competitions run by EPSO since 2010. They are different from those in the previous edition and are designed for all categories of competition.